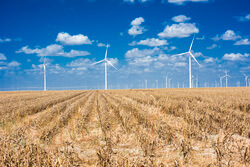 Siemens Gamesa will install 63 SG 3.4-132 and 9 SG 2.6-114 wind turbines for the Scioto Ridge wind farm located in Hardin and Logan Counties, Ohio, USA. The order also features a 10-year service and maintenance agreement . Components will be produced in local factories in Fort Madison, Iowa and Hutchinson, Kansas.